India is a vast country with diverse culture, heritage, nature, food and people. From hill stations, through the backwater, all the way to the coastline, this package takes your family for a soothing ride to witness the treasures of Kerala. Second day begins with a morning drive to Munnar. 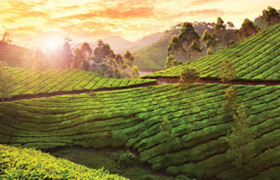 One of the most popular destinations in Kerala, Munnar is brimming with expansive tea gardens, mostly owned by Tata plantations, picturesque little hills and exhilarating air, all free from pollution, litter and the bustle of traffic. The drive will cover a distance of 130 kms with a stop at Cheeyappara Waterfalls. On arrival, you will be checking into Spice Tree Resort - Jacuzzi Bungalow. Overnight stay will be at the resort. 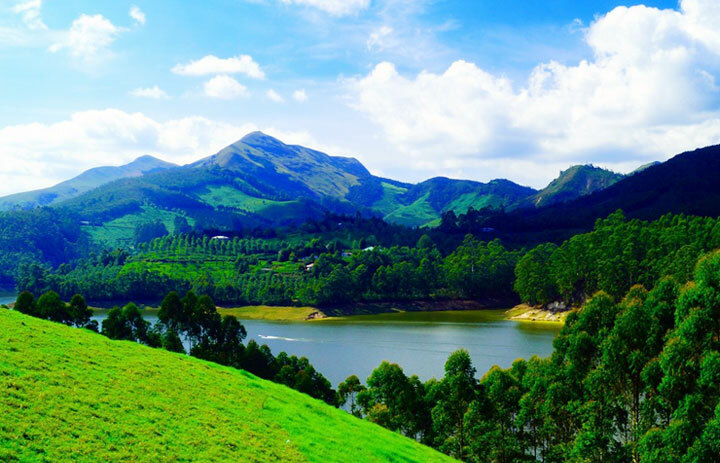 Your Kerala family trip continues in Munnar with sightseeing tours to Pothamedu, Mattupetty and Echo point with an optional choice of boating in the lake. Overnight stay will be in Spice Tree Resort - Jacuzzi Bungalow. 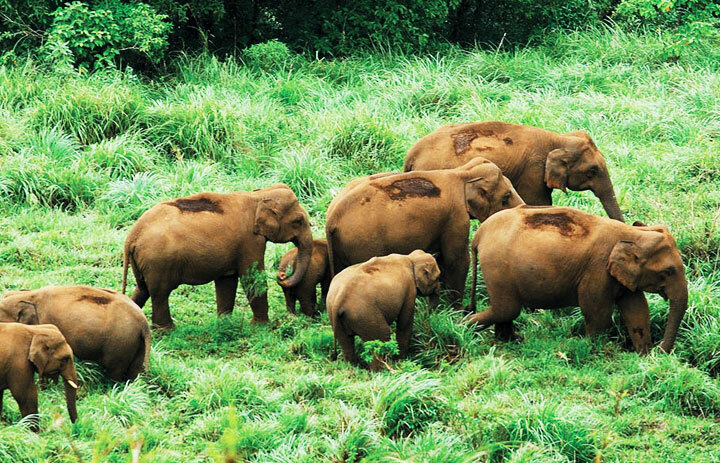 On the following day is a drive to Thekkady to witness the captivating fauna in the Periyar Wildlife Sanctuary. Upon arrival in Thekkady, you will be checking in at the hotel. Following that will be the wildlife sanctuary visit and sightseeing and spotting of magnificent species such as wild elephants, boars, deers and the great indian tiger. Afternoon visits will include cardamom, cinnamon and pepper plantations as well as tea and coffee estates. Overnight stay will be at Poetree Sarovar Portico - Club Room. Day five of the tour starts after breakfast with a drive to Kumarakom. A Kerala family tour package is incomplete without a trip to this village settlement on the Vembanad lake. Meandering waterways, canopies of coconut trees and many other sights make this a memorable destination for most visitors. Upon arrival, you will be checking in to Zuri Resort & Spa - Zuri Room. Afternoon will be for unwinding at this beautiful backwater resort. Overnight stay will be at the same resort. 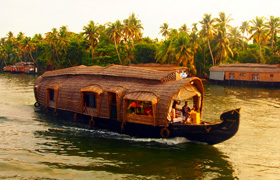 An eventful joyride on a traditional Kerala houseboat is the number one activity for any family tour in Kerala. 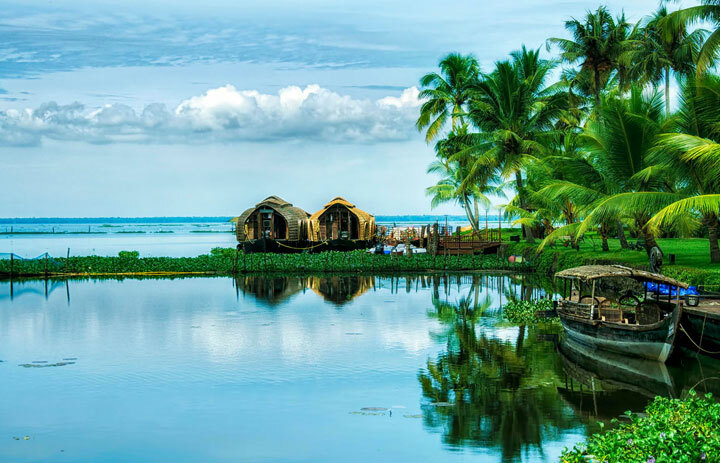 After breakfast, you will be boarding a Premium/Luxury houseboat which will cruise through Alleppey’s winding waterways, providing an insight into the lifestyle, culture and unrelenting beauty of small fishing villages. Overnight stay will be in the Houseboat - A/C Premium. 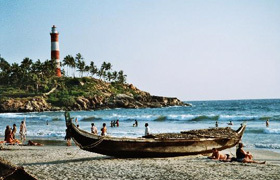 After breakfast, you will be disembarking the houseboat and our transfer services will take you to Kovalam. After checking in at the beach resort, the rest of the day is to stroll through the sands and witness the sundown on Kovalam’s scenic horizon. Overnight stay will be at Vivanta by Taj Kovalam - Superior Garden View. 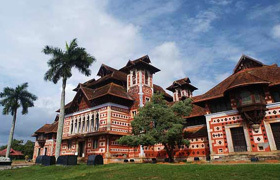 After breakfast, you will be taken on a tour of the historic city of Thiruvananthapuram. This will include visits to Padmanabhaswamy Temple, Horse Palace, Napier Museum and Srichitra Art Gallery. Lunch will be back at the hotel and afternoon will be free to relax by the beach. Overnight stay will be at Vivanta by Taj Kovalam - Superior Garden View. After breakfast, our airport services will transfer you to Trivandrum International Airport. 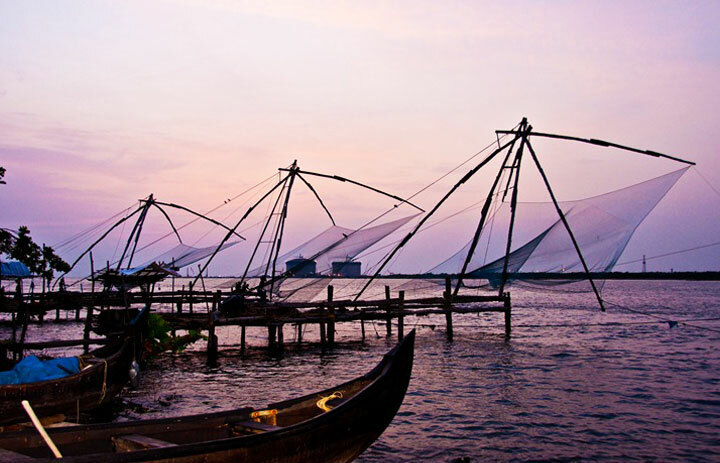 Most India family tours will comprise of a trip down South, to Kerala. Rightfully so, as National Geographic Traveller once included the state in its list of top ten paradises found in the world.